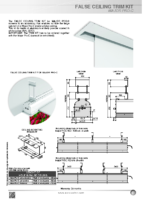 THE FALSE CEILING TRIM KIT FOR MAJOR PRO-C SCREENS is an accessory that enables to hide the large cabinet of a Major Pro-C inside a false ceiling. This kit is made of aluminium entirely powder coated in white colour (RAL 9010). 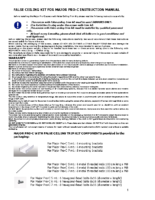 IMPORTANT: The TRIM KIT has to be ordered together with the Major Pro-C (cannot be retrofitted).